We are engaged in offering Ripening Gas Analyzer which includes gas monitoring and control, gas cylinder supply and management, periodic maintenance and optimization. We manufacture ripening gas analyzers and control mechanisam ourselves at chemtron. Complete indegenously made and can work with other brand of ethylene gas analyzers. Designed specially for indian conditions and can be operated by non educated staff as well. Uses state of the art control techniques devloped and fine tuned over the past 5 years getting the ripening cost to mere 0.04 paise /kg desined specially keeping indian temperature and hygiene conditions in mind. Complete logging of time and stage of ripening process. 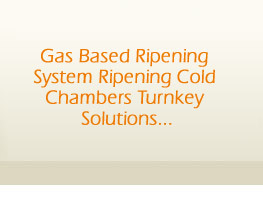 Ripening gas analyzers activates complete cycle by a simple switch. Ethylene gas analyzer is fully automated as well as manual overide for all the parameters. 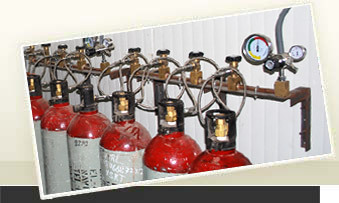 We manufacture ethylene gas in cylinder ourself. We have more than 5000 kgs of pure ethylene which is equivalent to 200,000 gas cylinders. We have close to 1000 cylinder already in circulation for ripening all over the country. 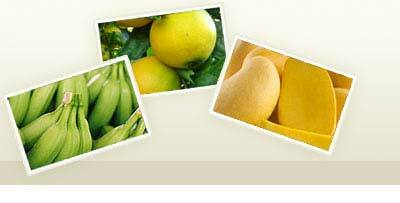 We have 6000 sq.feet of area dedicated only for ripening systems and its fucntional blocks. We have gas handling divisons which creates gas banks and related pipings for gas distrubtion in cold rooms. We have logistics partners delivering gas cylinder to all across india. We provide services of picking up the cylinder, refilling it and returning back the cylinder without any customer intervention. We have dedicated instrumentation department which manages the servicing and periodic calibration of sensors of all makes. Managing the finetuning the control mechanism to optimise consumption of ethylene thereby reducing the ripening cost per ton maintaining critical supplies of sensor and other components at site so that system is up and running within couple of hours. Breakdown maintainence and redundant ripening techniques using " wonder cans " if everything fails. Making sure whatever happens ripening process would never stop.